A proposal to slap a 5% tax on wrinkle fillers, Botox shots, breast implants and other elective cosmetic medical procedures as part of President Obama's health care reform package is raising disapproving eyebrows among some groups. A coalition of plastic surgeons, a women's group, medical associations and pharmaceutical makers were distraught when Senate majority leader Harry Reid slipped the so-called Botax levy into the health care bill late last month in hopes of raising $5.8 billion over the next 10 years. The tax would apply to elective but not reconstructive plastic surgery and cosmetic procedures. Opponents contend the tax would unfairly target middle-income women, threaten the confidentiality of patient reports and lead to a surge in people traveling to other countries for wrinkle-zapping procedures. Though it may seem like a stretch, opponents of the tax are making a populist cry. "This tax is not just a luxury tax," says Dr. Joanna Partridge, a plastic surgeon in North Brunswick, N.J. "This is a tax on the middle class, which is directly against what President Obama campaigned on." About 60% of those planning to have cosmetic medical procedures have an annual household income of $30,000 to $90,000, according to the American Society of Plastic Surgeons (ASPS). Why the surgery surge among working-class folks? "We're seeing a lot of patients concerned about the competition [for employment], and if they don't look young enough or vigorous enough, that could be an issue in getting a job," says Dr. Michael McGuire, president of the ASPS. The nip 'n' tuck trend has been a boon to some medical-supply companies. In the third quarter, Allergan Inc., which sells breast implants, Botox and other wrinkle-fighting products, said higher-than-expected Botox sales helped the company post an 8% earnings increase and exceed Wall Street's expectations. The company, predictably, opposes the tax. More than anyone else, doctors are mobilizing. "We're very much against the tax," says Dr. Renato Saltz, president of the American Society of Aesthetic Plastic Surgery. He notes that a similar tax adopted by New Jersey in 2004 has been a disappointment, with many patients simply having their procedures done in neighboring states. The New Jersey legislature tried to rescind the tax but was overruled by Governor Jon Corzine. 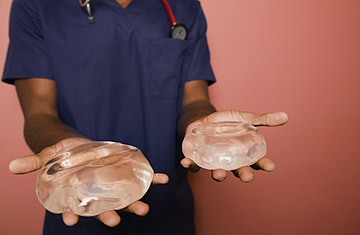 There's a gender issue too, as roughly 86% of people seeking cosmetic enhancements are women, ASPS data show. The National Organization for Women (NOW) has spoken out against the tax. As Terry O'Neill, NOW's president, told the New York Times, "[Women] are going for Botox or going for eye work because we live in a society that punishes women for getting older." NOW's opposition to the tax elicited some hand-wringing at the Times, as Times blogger Judith Warner lamented, "Women's empowerment becomes a matter of a tight face and a flat belly." Another concern is that the tax would open up a Pandora's box that would probably pit doctors against bureaucrats over what is considered cosmetic and what is reconstructive. "For example, I do a lot of breast reconstruction, so when I'm treating a cancer patient's normal breast and putting in a lift to match the reconstructed breast, is that elective or is that reconstructive?" says Saltz. "Now, who's going to make that decision? Is it going to be a bureaucrat or a tax person that's going to tell me or my patient that they have to pay [tax] on that breast?" "It's not black and white," concurs McGuire. "Is repairing a cleft lip reconstructive or cosmetic? Children in Sri Lanka live all their lives with cleft lips, so it's not a matter survival. So is it cosmetic then?" Saltz expects the tax would trigger a surge in people traveling outside the country for cosmetic procedures. Partridge agrees, saying, "People do shop around  cosmetic surgery is very competitive." Then there's the confidentiality issue. "If this is a tax, then one would assume the IRS is going to be involved  and so are they then going to be auditing our patient billing? And therefore how do we maintain patient confidentiality under that circumstance?" says McGuire. Opposition to the tax appears to be gaining momentum. A coalition of plastic surgeons and medical trade groups have sent letters to Congress and set up a website called stopcosmetictax.org, where people are urged to sign petitions and contact their Senators. Still, Congress faces a heavy burden in searching every nook and cranny for ways to fund the health care reform bill's $849 billion price tag. Jim Manley, a spokesman for Senator Reid, dismisses suggestions that women are being targeted and notes that Senators are looking everywhere for ways to fund the bill. "There was a point a few weeks ago when Senator Reid needed some additional revenue for this bill  the goal was to keep all the financing within the health care arena, and in the end, he decided to include this provision in the bill," says Manley. He notes that the tax would use the same definition for cosmetic surgery that the IRS uses for the medical-expenses deduction. See TIME's 2009 Person of the Year: Ben Bernanke.